but he withdrew his publication. was given the Roman name for Paris. the number of simultaneous discoveries. even if only three made it to a distant shore. The chemists that discovered lutetium shared the same map, the periodic table. Before their reports, two lanthanoids were missing. 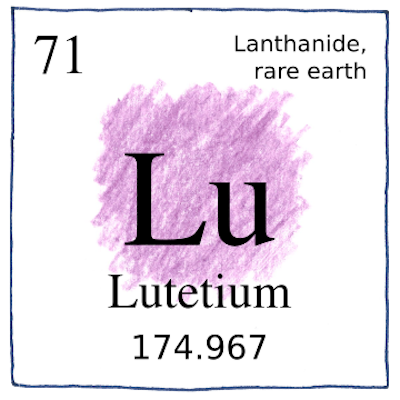 Urbain, Auer, and James found the element with atomic number 71. The element with atomic number 61 still eluded intrepid sailors.